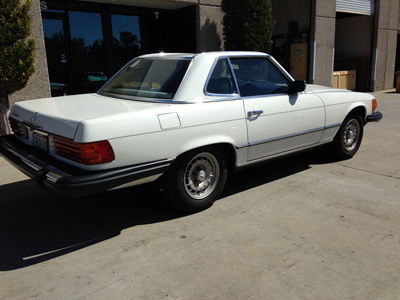 1980 Mercedes 450 SL convertible w/ removable hardtop. Automatic. 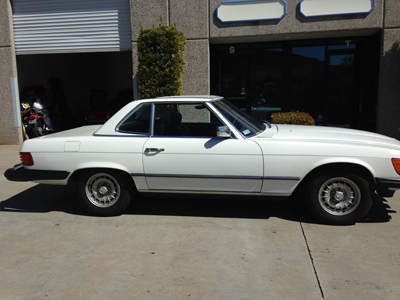 Original V8, matching #s. White with blue leather interior. 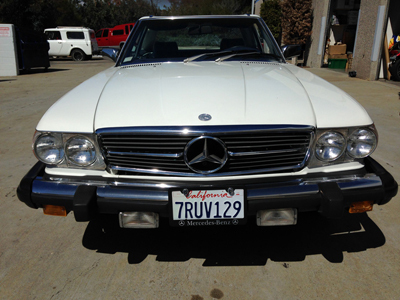 Power brakes, steering, windows, arial, original Becker stereo radio am/fm cassette, we have a car fax showing very low miles at 51,488. vin # WDB10704412065353. A very nice way to enjoy life cruising with the top down.